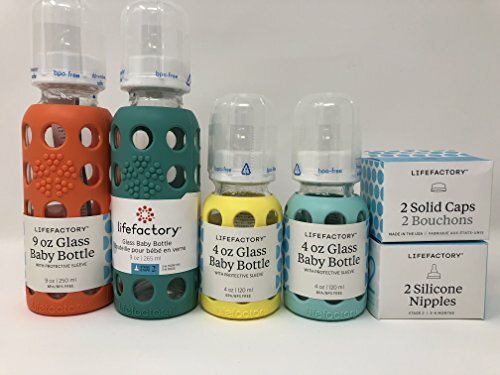 Wee-Go Glass baby bottles by LifeFactory (Babylife) are designed to grow with your child. The included clear cover can also serve as an easy to hold cup. Twist on the solid cap (sold separately) and use your bottles for storing juice or snacks. Perfect for a lunchbox or traveling. The bright colored silicone sleeve (patent pending) helps to protect the bottle from breakage and provides a great gripping surface and tactile experience during feeding. The bottle and sleeve can be boiled or put in the dishwasher together. They can also go in the freezer, making breast milk storage simple.